Home / Articles / 5 Harsh Truths Nobody Tells You About Happiness- Must Read! 5 Harsh Truths Nobody Tells You About Happiness- Must Read! Ask any number of people what happiness means to them, and you’ll probably get a bunch of answers that generally can be drilled down to some of the same things: good relationships, less financial and work stress, and more leisure time. And sure, all those things are important, but people tend to pursue them in ways that don’t encompass the true meaning of happiness. While one may argue that the meaning of happiness varies form person to person, the truth is most people simply fixate on deep personal desires that either make them more comfortable, inflate their egos. Nobody wants to hear it, but pursuing comfort and an inflated ego is an unsustainable path to happiness. If you can maintain an open mind without getting sucked back into the more selfish and shallow definitions of happiness, then it may be worth reminding yourself of these five harsh yet important truths about what it really means to be happy. 1. Real happiness does not equal excitement. One of the biggest misunderstandings people have about achieving happiness is that they have to be constantly seeking excitement through pleasurable experiences. Excitement is that feeling of enthusiasm from stimulation, followed by an emotional release of satisfaction when it’s over. And because that feeling doesn’t last more than a few minutes, hours, or perhaps days if you’re lucky, it puts people in an endless cycle of pursuit for more excitement. 2. Lasting happiness cannot be derived from external things. People often jump from relationship to relationship, or get hooked on a new Netflix series, or count down the days until they can go on vacation, in hopes of finally achieving happiness. But it doesn’t last. There’s always something to be found wrong with it, or people get bored because they’re obsessed with excitement. Rather than doing more introspective work, they blame the world and their circumstances for their unhappiness, hoping that different activities and situations might bring better results. 3. 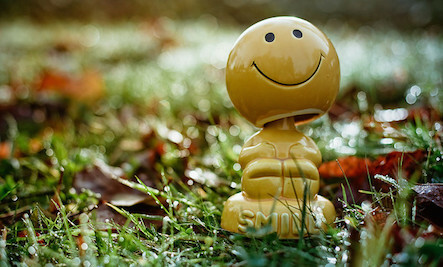 Happiness is really about finding peace and contentment in whatever’s happening in the moment. With more internal work comes more awareness and alignment with reality, and although most people don’t typically associate suffering with happiness, the people who consistently do this type of work are able to feel much happier than the average person about whatever life throws their way — even in the most undesirable situations. Real happiness is about forgetting about past regrets and future worries, and being able to fully accept and deal with what’s going on right now. 4. Real happiness requires being challenged and contributing to the world in a purposeful way. Besides excitement, another word people generally associate with happiness is comfort. They want to be comfortable and in control of everything, with as little risk involved as possible. Sounds nice, right? In truth, however, it leads to a boring and often purposeless life (which of course leads to more misery). To pursue real happiness, you have to be willing to go against the grain by being consciously willing to challenge yourself, recognizing its value in helping you grow as a person. Huge bonus points if you challenge yourself in an area that truly helps and benefits other people, animals, or the planet. 5. Happiness is a choice only you can make for yourself. You’ve probably heard this one before: Happiness is a choice, and you have to take full responsibility for your own. This can be one of the most difficult things to do particularly for people who are used to playing victim roles in their lives. For many people, their minds may never be willing to fully accept the fact that they are responsible for their own happiness, even when things seem bad or out of control. The idea is simple, but in practice, it’s not easy. The longer and more intensely a person’s mind has been fixated on all the bad and sad things about their life, the harder it is to change that mindset. It takes time and a lot of struggle, but it’s worth it.